If you've got a strong, blendable voice, then our church needs you! Please contact our Director of Music, Nelson Whittington. Rehearsals are on Wednesday nights at 7 p.m. Our adult choir provides musical leadership for all Worship Services of the church. In addition to Sunday Worship, they sing for special services such as 'Lessons & Carols' on Christmas Eve and Maundy Thursday. We strive to present a wide range of musical styles and present the best gift(s) that we can offer to God. The BELLTONES is our adult Handbell Choir. It is a 3-octave set of Mallmark English handbells incorporating 10 ringers. The only requirement to participate is a love of music and a minimal understanding of reading music. We are currently on hiatus, but plan on reorganizing soon. Watch for more details. Second Sunday of each month. Offering along with canned goods are collected. Hunger program offering made on the last Sunday of each month. Supporting the Community Relief Organization with gifts for up to 25 children. Children are well loved in our church community. 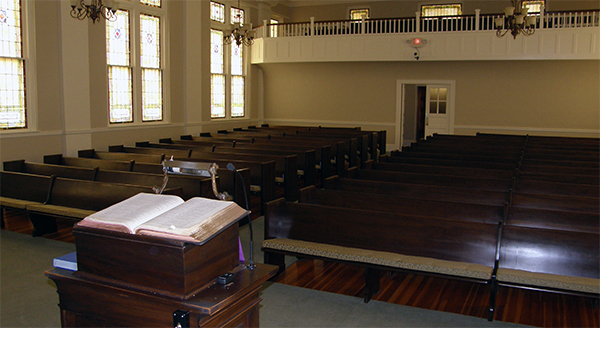 Children's Sunday School is offered in our Education Building from 9:45 - 10:45. Children also participate in worship with us: there is a "Time with Children," led by the pastor, and we are delighted when our young ones lead the Call to Worship, read scripture or assist in ushering and receiving the morning offering. 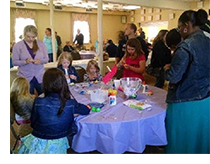 "Kid Connections" is an after school program held on select Mondays, to connect kids to Jesus Christ through art, science or cooking. Click here for the current program registration form.